I'm a mainstream kind of girl. I'll listen to what's on the radio, Kiss 100, Capital FM and Watford's Vibe Radio mostly. But when the sun starts to shine, all I want to do is listen to Kisstory and blare out a mix between my old and new favourites. These are some of the ones I will be listening to until the cold starts to kick in again. 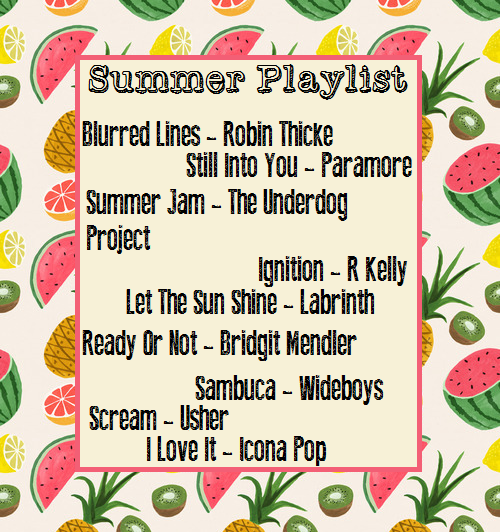 They just feel like those bouncy, happy summer-time tunes you'd love to have blaring out of your car speakers on a little road trip, whether it's to Southend, a pub garden or just to work.